For a quick little yummy treat. Three ingredients and that distinctive chocolate hazelnut taste. A recipe from instructables.com. Preheat oven to 350°. Spray mini muffin pan with nonstick spray. 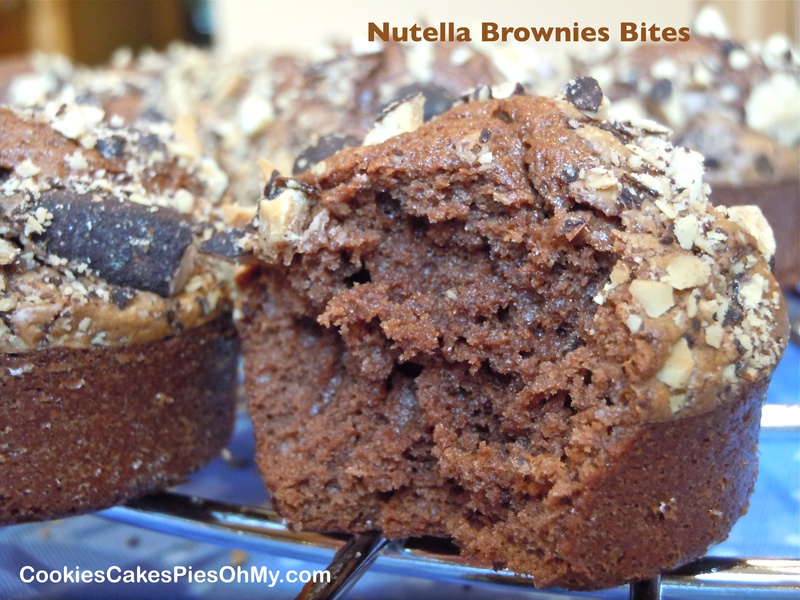 With electric mixer, combine Nutella and eggs. Add flour and mix. Scoop into prepared muffin pan. Sprinkle with chopped hazelnuts if desired (I used chopped Blue Diamond Dark Chocolate Almonds, love these for snacking). Bake for 20-22 minutes. Makes about 20. How easy!! these look fun– perfect for my ladies who come on Monday nights. thanks Kirsten!